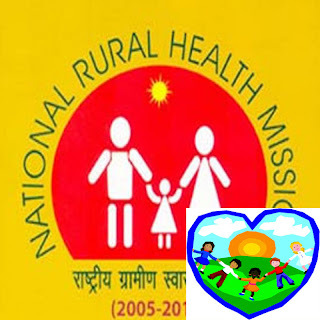 UPA chairperson Sonia Gandhi would launch a new scheme on Wednesday to improve child healthcare under the National Rural Health Mission, under which every child younger than six years would be screened for 30 select deficiencies and disorders. To be kicked off at Palghar, a tribal block in Maharashtra's Thane district, the scheme envisages issuing a follow-up or treatment guidance to children, depending on their symptoms and health status. The government plans to roll out this scheme for 27 crore people under 18 years in phased manner. The 30 deficiencies and disorders that children would be screened for include anemia, vitamin A, vitamin D, acute malnutrition, goiter, alongside some congenital diseases such as cataract, deafness, heart diseases. About a tenth of India's die of birth defects, while hearing or vision-related developmental delays affect 10% of children, which could lead to permanent disabilities later in life. Typically, every block would be equipped with a team of at least four health personnel to carry out the screening process of children at Anganwadi centres and government schools. Infants would be checked either at medical centres, their places of birth or through home visits. Such checks would be conducted at least twice a year, the health ministry said. Every district will have an 'early intervention centre' to handle the cases that been referred from the block levels. These intervention centres are supposed to co-ordinate with tertiary hospitals to facilitate operations and surgeries. Early intervention centres would arrange for tertiary health care for children who need surgical care. The necessary treatment costs would be provided to government as well as private hospitals.